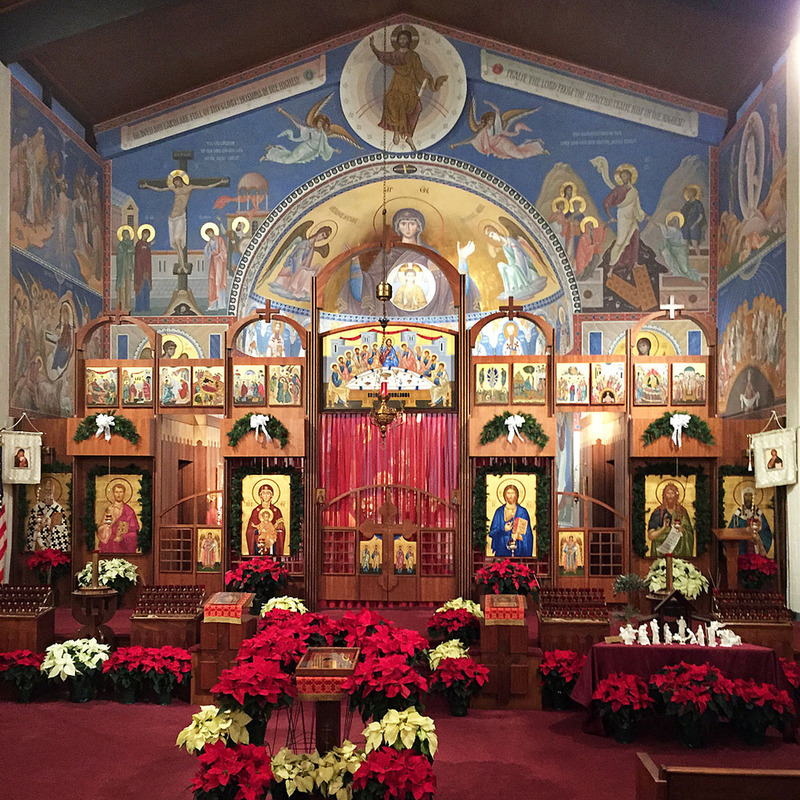 [Bethesda, MD] Approximately four years of planning and finally after two phases of execution, our proposed iconography project is now complete here at St. Mark. The team of Dmitry Shkolnik, Alexey Vronsky, Alexander Chernyy and Aleksandre Mchedlishvili did a masterful job of weaving influences from the 8th and 12th centuries together and bringing them to life on our walls. The goal was to tell the story of salvation in line and color. Our new icons include: The Communion of the Apostles, the Liturgical Fathers, the Theotokos and Christ in the apse, Annunciation, Nativity of our Lord, Theophany, Transfiguration, Pentecost, Crucifixion, Resurrection and Ascension. We invite you all to come and see!